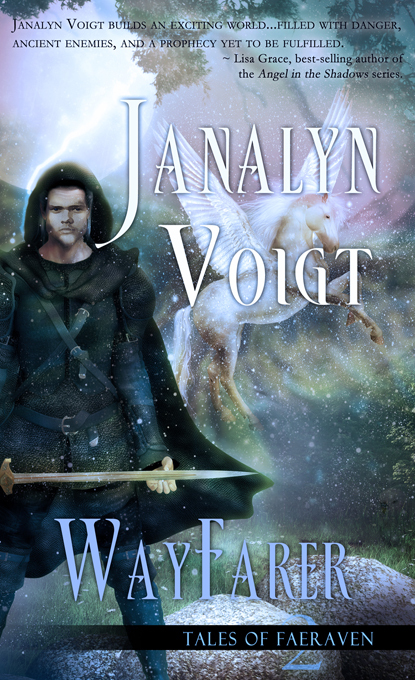 This month I had the privilege of reading WayFarer, the second book in the Tales of Faeraven series by Janalyn Voigt. First, this is an epic fantasy, which means a world filled with magic, soul touching, winged horses (called wingabeasts), and kingdoms at war. The style of Janalyn’s writing reminds me a bit of Lord of the Rings. It has an old English feel to it that takes some time getting used to (at least it took me a while to get into the rhythm and cadence of the words and sentence structure). This writing style gives the story more of a medieval feel, which does add to the fantasy story. Wayfarer centers around Lof Shraen Elcon (the high king) of the Kindren. We first meet him in DawnSinger (first book in Tales of Faeraven) where his mother dies and he becomes the new ruler. Wayfarer is about Elcon and his journey in what it means to be a ruler. Elcon pursues his own passions and reaps the consequences for that. However, I want to add that he does not do it in an evil way, or even really in a selfish way. What I saw in this story was a naive young man who made choices without thinking about them. Elcon chooses to marry a woman in haste (although from the story, they seem to really love each other, so I didn’t really have a problem with that). However, she is of a different race than him, so that causes conflict on both sides. Along with that, he had promised to court another woman, so he breaks her heart when he marries the princess of the Elder people. I don’t want to give the plot away, but I will say this: every choice Elcon makes for just himself ends badly. But every choice he makes for others and for his kingdom ends well. I didn’t quite agree with that conclusion. Some choices are not wrong or right, they are simply left or right. Other than that small point, I loved WayFarer. I was captured by the story and loved the characters, especially Aewen. I loved the world Janalyn created. It is colorful and vibrant, everything a fantasy lover wants in a book. So do I recommend WayFarer? Yes! 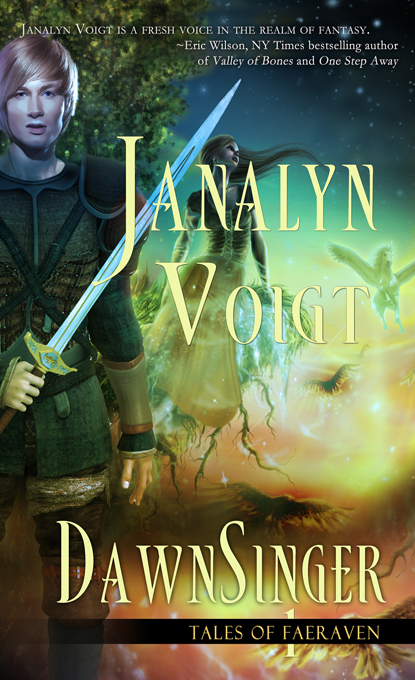 Do you need to read DawnSinger before you read WayFarer? Yes and no. I think you will get more out of WayFarer if you start with DawnSinger. But it can work as a standalone. Here is a link to Wayfarer. 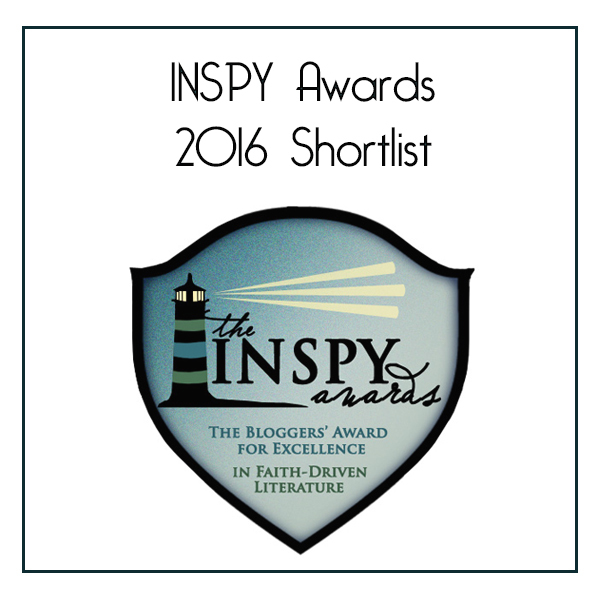 And here is a link to author Janalyn Voigt. *I was given a free copy of WayFarer for an unbiased review.